Listen to New Moon Global Call to Action with Michael Stone and Christina Donnell: The Unitive Life. January 16, 2018. Please enjoy again and again! If you see this message instead of the JWPlayer audio player, you may need a newer version of Adobe Flash Player. Get the Adobe Flash Player now. 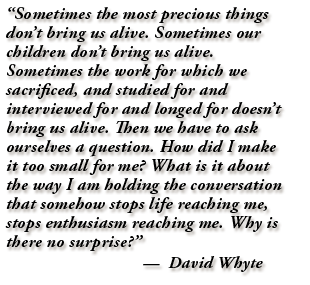 Llisten to Conversations with Michael Stone, an interview on October 9, 2017 with Christina Donnell. Please enjoy! View and listen to Buddha at the Gaspump with Rick Archer, a live-streamed interview on August 26, 2017 with Christina Donnell on her award winning book Transcendent Dreaming: Stepping Into Our Human Potential. Please enjoy! Listen to Hidden Potential: The Science of Magic Radio Interview by Gwilda Wikaya featuring Christina Donnell. May 18, 2017. Please enjoy again and again! Listen to NCHT Keynote Address: Tending our Evolving Consciousness: Shifting Vibrations by Christina Donnell. This is a re-recording of the talk given at the NCHT Conference, April, 2016. Please enjoy again and again! Listen to Tending our Evolving Consciousness: The Art of Deep Seeing by Christina Donnell. This is a re-recording of the talk given at the 24th Annual ISSSEEM Conference at Unity Village, June, 2015. Please enjoy again and again! 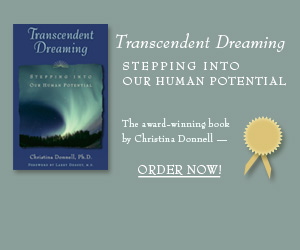 Listen to Provocative Englightenment Radio with Eldon Taylor, a live interview on April 22, 2015 with Christina Donnell on her award winning book Transcendent Dreaming: Stepping Into Our Human Potential. Please enjoy! Listen to and view a soul-pounding commentary on Receptive Wisdom: The Poetics of Receptivity: The Power of the Anima and its Movement in Our World: An evening of lyrical prose reading with Christina Donnell and cellist Dr. Anna Vasquez, on October 14, 2011. Please enjoy! Listen to and view The Hidden One: You, Who Floods our Sanctuary, a soul-moving narrative on the wonders of the unseen by author Christina Donnell. This is a live recording of the talk given to benefit the Bodhi Retreat Center on Bainbridge Island. Please enjoy again and again! Listen to The Anima, a lyrical prose live reading by author Christina Donnell. By popular demand, the prose, recorded during a weekend retreat on Bainbridge Island, is now available for all to hear. Please enjoy again and again! Listen to an excerpt from Christina Donnell's recent lyrical prose event on Bainbridge Island, WA. Listen to Christina Donnell's radio interview on "Good Vibrations" with Tracy Shavone, of KKCR radio in Kauai, Hawaii.